This is a step by step guide to professional chalk board sign writing showing you the tools of the trade and the correct applications used in the art of sign writing. I have been sign writing for many years and I learned my technique from an old master craftsman who was one of the last of his kind. Back in post war Britain young people were taught advanced lettering and calligraphy as a trade as there was no such thing as a vinyl cutter and every sign or advert was hand painted. The gentleman I once knew was of that age and he had been to sign writing school as a boy where he practiced all the fonts and styles until he could paint them with his eyes closed. 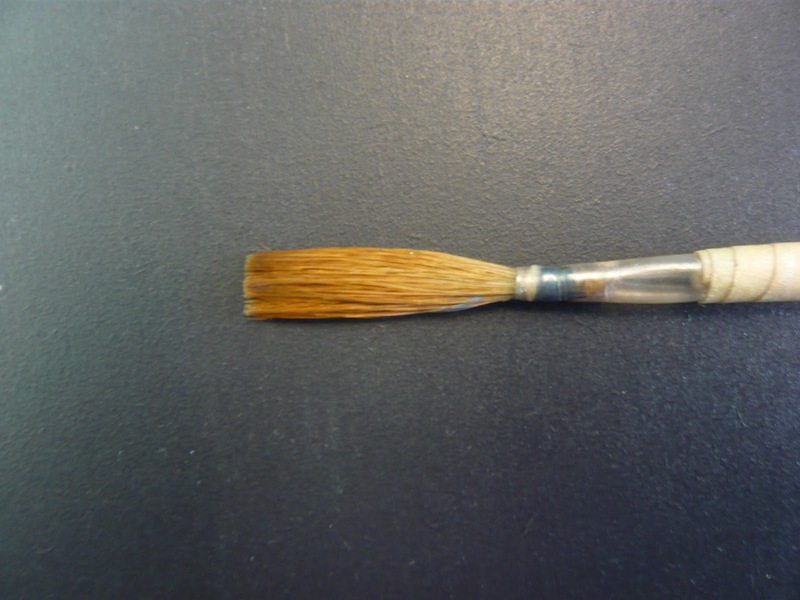 I was only lucky enough to know him for a short time before he died but it was long enough to pick up many of these outmoded skills, and he left me his prize brushes which I am still using today. A selection of rulers, set squares and spirit levels. 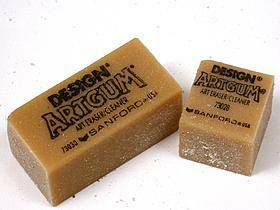 Artgum. This is s a specific kind of rubber sold in all good art shops and used mainly for surface cleaning. A selection of hard and soft pencils. Without the benefit of extensive training from childhood, modern sign writers today have to rely on careful measuring and a steady hand. It is not always advisable to draw straight onto the chalk board, sometimes the pencil lines will leave a smear when you try to rub them out. You can use masking or sellotape to create horizontal lines but check first that the tape doesn't pull the chalk board surface off with it when removed. In these cases I use a strip of vertical masking tape with measurements on it and use this to line up rows of cotton thread. These provide a useful guide but can be moved or over painted if needed. They are also an ideal way to input a slant guide, if your font is italic the angle that the letters slope to tend to vary as you go along so when writing large pieces of text it is essential to mark sloping vertical lines which guide your uprights to the set angle. In the case that your text need to be centered, find the middle of your board and draw a vertical line from top to bottom. Then count the number of letters and spaces in the word to write and number them on paper. i.e. 'How to center the text' is made up of is made up of 18 letters and 4 spaces making a total of 22, therefore the middle is in position 11 which is character 't' in the word 'center'. So starting from the middle of the board you begin by writing 'ter the text' and then go back to the middle and write 'How to cen' from right to left. 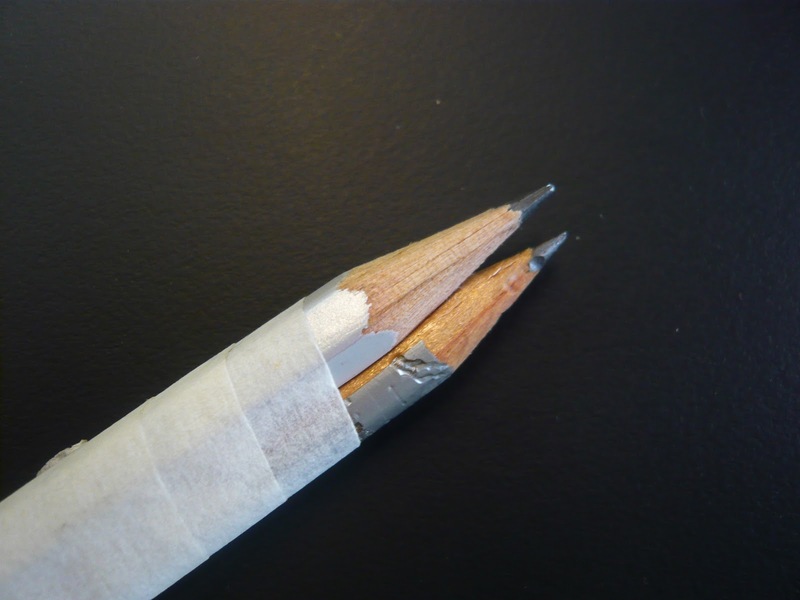 Twin Pencils are two separate pencils which have been strapped together to the same width as the font size requires. They are used to draw the words onto the chalk board before you go over with paint. In most cases fonts are in set size ratios according to the width of the letters. If the letters are a 5mm wide line then the height is 8 times this and the width is 6 times this amount. Using the twin pencils start by writing out the entire text to ensure it all fits and looks even before you begin painting. A rigger is a long thin brush which gets it's name from painting the rigging on boats which is it's most common use. It is ideal for sign writing as it can hold plenty of liquid allowing you to paint a very long line before the brush stroke breaks.These brushes have benefited from new modern acrylic fibers which allow you to reshape it if it becomes splayed, acrylic has memory and if you dip it into almost boiling water for a few minutes it will 'remember' it was once straight and revert back to it's original condition. A chisel is similar to a rigger but it does not finish to a fine point but a hard square edge. This brush is better made of natural fibers as they do not have 'memory' and can be shaped when wet into a specific width to meet the font requirements. These brushes cannot be machine made and the square tip is not simply cut at the end. 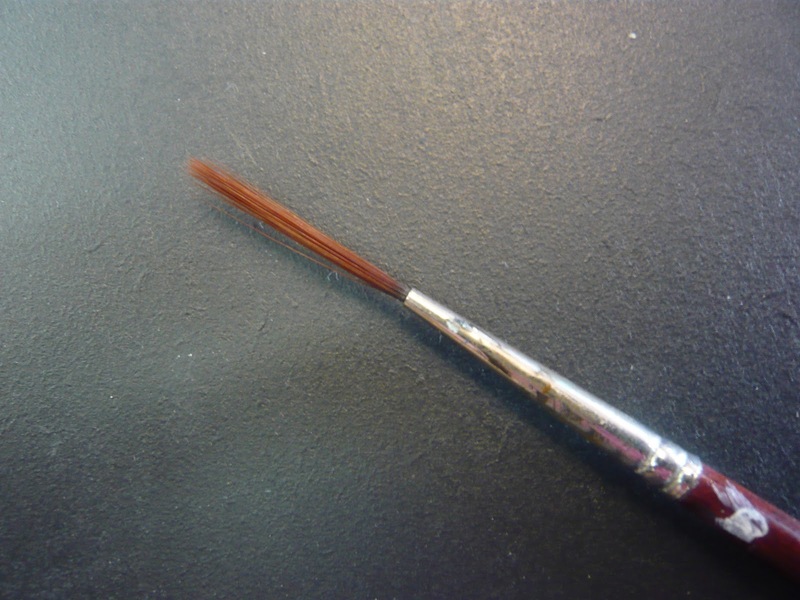 Each hair is lined up to the exact same length before the ferrule is attached. 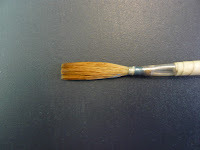 This is by far the most difficult brush to make and takes a life time of practice to perfect. A range of waterproof chalk pens. 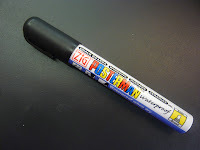 I prefer to use a brand made by ZIG called the POSTERMAN but there are alternatives on the market which work just as well. These pens come in a range of sizes and in round or chisel tips. They are liquid markers, meaning that they contain a reservoir of liquid ink inside which is drawn out through a felt nib by osmosis. They need to be shaken and pumped each time they are used and the felt nib quickly loses it's shape on the abrasive chalk board surface. This is not usually a problem as the misshapen pen can be kept for brush work. 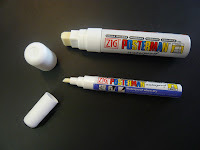 If you unscrew the top part of the pen you are left with a bottle of paint which you can pour into a pallet. Beware that this ink is fast drying so do not pour out too mush as it will dry on the pallet and cannot be wetted back up to reuse later. If you make a mistake is is very difficult to remove once the paint has dried, it will leave an obvious smear over the work and look a mess. Chalk board pens also come in black and this is a valuable tippex for use on chalk boards. Great to keep the art of signwriting alive, and thanks for sharing your really useful tips on making attractive deal boards for the shops.